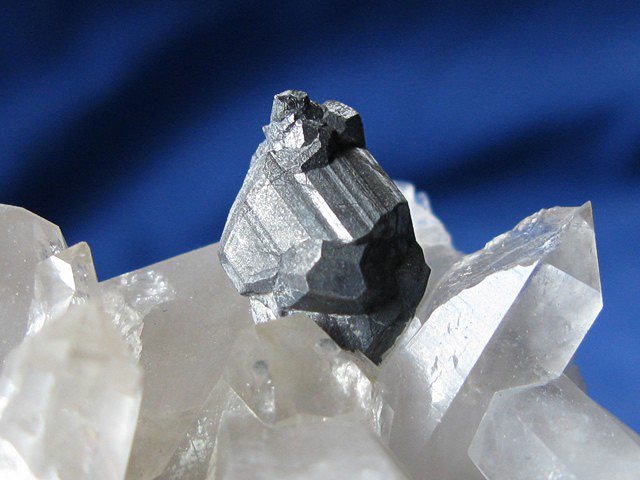 Geocronite: Mineral information, data and localities. From the Greek, γή, earth (Gea in Greek, the alchemistic name for antimony) and κρόνος, Saturn (Chronos in Greek, the alchemistic name for lead). Geocronite-Jordanite Series. Substitution of As is preferentially at the Sb4 site (Biagioni et al., 2016). Tabular, massive, earthy. Crystals rare, but up to 8cm. Quartz 9 photos of Geocronite associated with Quartz on mindat.org. Pyrite 6 photos of Geocronite associated with Pyrite on mindat.org. Galena 5 photos of Geocronite associated with Galena on mindat.org. Fluorite 4 photos of Geocronite associated with Fluorite on mindat.org. Aramayoite 4 photos of Geocronite associated with Aramayoite on mindat.org. Baryte 3 photos of Geocronite associated with Baryte on mindat.org. Hutchinsonite 3 photos of Geocronite associated with Hutchinsonite on mindat.org. Jordanite 3 photos of Geocronite associated with Jordanite on mindat.org. Ankerite 2 photos of Geocronite associated with Ankerite on mindat.org. Orpiment 2 photos of Geocronite associated with Orpiment on mindat.org. Svanberg (1839) Ak. Stockholm, Handl. : 184. Svanberg, L.F. (1840) Untersuchung des geokronit und hydrophit, zweier in Schweden vorkommenden nueun mineralien. Annalen der Physik und Chemie: 21: 535-538. Svanberg, L.F. (1841) Undersökning af geokronit och hydrofit, tvenne inom Sverige förekommande nya mineralier. Kongliga Svenska Vetenskaps-Akademiens Handlingar: 1839: 184-187. Apjohn (1841), Proceedings of the Royal Irish Academy: 1: 469. Palache, Charles, Harry Berman and Clifford Frondel (1944) The System of Mineralogy of James Dwight Dana and Edward Salisbury Dana Yale University 1837-1892, Volume I: Elements, Sulfides, Sulfosalts, Oxides. John Wiley and Sons, Inc., New York. 7th edition, revised and enlarged: 395-397. Birnie, R.W., Burnham, C.W. (1976) The crystal structure and extent of solid solution of geocronite. American Mineralogist: 61: 963-970. Apopei, A.I., Damian, G., Buzgar, N., Buzatu, A., Andráš, P., Milovska, S. (2017) The determination of the Sb/As content in natural tetrahedrite-tennantite and bournonite-seligmannite solid solution series by Raman spectroscopy. Mineralogical Magazine: 81: 1439-1456. The following Geocronite specimens are currently listed for sale on minfind.com. Kolitsch, U., Brandstätter, F. & Strasser, M. (2010): 1633) Bindheimit, Geokronit und Langit von Obernberg am Brenner, Obernberger Tal, Silltal (Wipptal), Nordtirol. Pp. 220-221 in Niedermayr et al. (2010): Neue Mineralfunde aus Österreich LIX. Carinthia II, 200./120., 199-260.; Hanke, M. & Kotal, K. (2010): Neues von Obernberg in Tirol: Geokronit und Mimetesit. Lapis 35 (12), 24. Ahlfeld, F. & Schneider-Scherbina, A. (1964) Los Yacimientos Minerales y de Hidrocarburos de Bolivia. Stamatova, I. V., Kunov, A. Y., & Stanchev, C. D. (2004). Geocronite and Bournonite from Occurrence Klisoura (Western Srednogone, Bulgaria). Comptes Rendus de l'Academie Bulgare des Sciences, 57(10), 53. Can Mineral 1957 6: 119-127. Rezek, K., Megarskaja, L.: Mineralogie sulfidického zrudnění u Prachovic v Železných horách. Věstník Ústředního ústavu geologického, 1986, roč. 61, č. 1, s. 23-28. Topa, D., Makovicky, E., Tajedin, H., Putz, H., Zagler, G. (2013): Barikaite, Pb10Ag3(Sb8As11)S19S40, a new member of the sartorite homologous series. Mineralogical Magazine, 77, 3039-3046. Mehrabi, B., Yardley, B.W.D., and Cann, J.R. (1999): Mineralium Deposita 34, 673-696.; Asadi, H.H., Voncken, J.H.L, Kühnel, R.A., and Hale, M. (2000): Mineralium Deposita 35, 656-671.
de Haller, series of article in Bull. Soc. Genevoise de Minéralogie in the 1980s. ; Lips, ALW (2006) A review of non-ferrous mineral deposits in Europe - Finalised initial database BRGM/RP -54957 - FR; Morrissey, C. J. (1970) The Mineralogy, Structure and Origin of the Lead-zinc-copper Residual Orebody at Tynagh, County Gamay, Ireland (Doctoral dissertation, Imperial College of Science and Technology London). Bramanti A., 1994. Note di mineralogia italiana. Eccezionali cristalli di geocronite, Valdicastello Carducci. Riv. Miner. Ital., 18: 170. ; Biagioni, C., Orlandi, P., Moëlo, Y., & Bindi, L. (2014). Lead-antimony sulfosalts from Tuscany (Italy). XVI. Carducciite,(AgSb) Pb6 (As, Sb) 8S20, a new Sb-rich derivative of rathite from the Pollone mine, Valdicastello Carducci: occurrence and crystal structure. Mineralogical Magazine, 78(7), 1775-1793. Angelillis R., 1972. Probabile ritrovamento di geocronite alla miniera del Bottino. Notiz. Gr. Miner. Lomb., 53. D'Achiardi A., 1872/73. Mineralogia della Toscana. Arnaldo Forni Editore, Pisa. ; Amodio Morelli L., Menchetti S., 1969. Su alcuni minerali della zona del Bottino e del Canale dell'Angina-Zulfello (Alpi Apuane). Atti Soc. Tosc. Sci. Nat., Mem., Serie A: 417-445. Orlandi, P., and Bianchi, G. (1976) Nota di mineralogia toscana. I minerali delle geodi dei marmi di Carrara. Atti della Società Toscana di Scienze Naturali, Memorie, serie A, 83, 220-229. 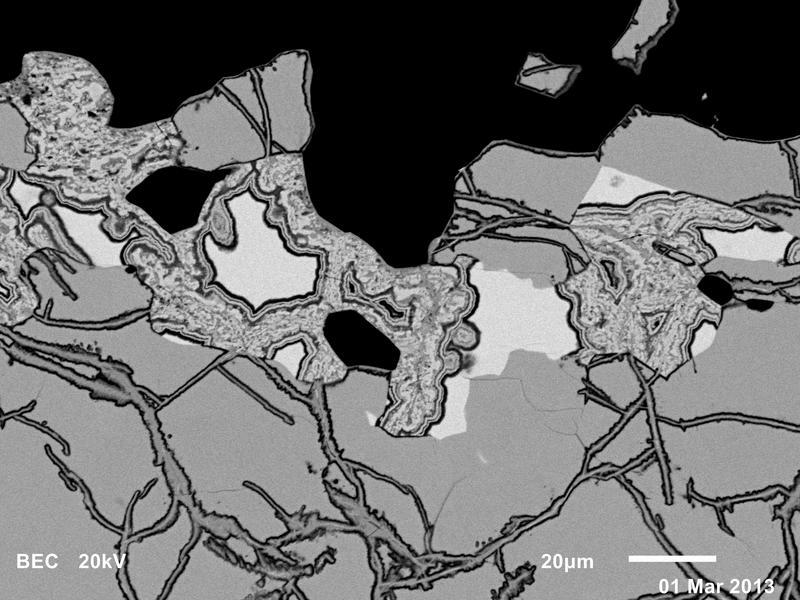 Morino A., Passarino G. (2016): Minerali nel marmo di Carrara: solfuri e solfosali. Riv. Mineral. Ital., 40, 1 (1-2016), 22-33. Orlandi, P., and Bianchi, G. (1976) Nota di mineralogia toscana. I minerali delle geodi dei marmi di Carrara. Atti della Società Toscana di Scienze Naturali, Memorie, serie A, 83, 220-229; Orlandi, P., Bracci, G., Dalena, D., Duchi, G., and Vezzalini, G. (1980) I minerali delle geodi della formazione marmifera di Carrara. Atti della Società Toscana di Scienze Naturali, Memorie, serie A, 87, 93-124. Lagny, Ph., Omenetto, P., Ottemann, J. (1973): Geocronite in the lead-zinc deposit of Salafossa (eastern Italian Alps). Neues Jahrbuch für Mineralogie, Monatshefte, 1973, 529-546.; AA. VV., 1996. Collezionare minerali. Hobby & Work. Matsukuma et al (1981) Zenkoku Chikashigen Kankei Gakukyokai Godo Shuki Taikai Bunka Kenkyuukai Shiryo (M) Kinginn no Fusonn Jotai, 20-23. Khishgee, C., Akasaka, M., Ohira, H., & Sereenen, J. (2014) Gold Mineralization of the Gatsuurt Deposit in the North Khentei Gold Belt, Central Northern Mongolia. Resource Geology, 64(1), 1-16. Reusch, H.H. (1881): Et Besøg i Svenningdalens Sølvgruber. Nyt Magazin for Naturvidenskaben. 26, 171-176 (p.175); Neumann, H. (1985): Norges Mineraler. Norges Geologiske Undersøkelse Skrifter 68, p 47. Vokes, F.M. (1963): Geological studies on the Caledonian pyritic zinc-lead orebody at Bleikvassli, Nordland, Norway. Norges Geologiske Undersøkelse. 222, 1-126; Cook, N.J., Spry, P.G., and Vokes, F.M. (1998): Mineralogy and textural relationships among sulphosalts and related minerals in the Bleikvassli Zn-Pb-(Cu) deposit, Nordland, Norway. Mineralium Deposita 34, 35-56. Birnie, R. W. and Petersen, U. (1977): The paragenetic association and compositional zoning of lead sulfosalts at Huachocolpa, Peru. Economic Geology 72, 983-992. Vikent'eva, O., & Vikentev, I. (2016, April). Occurrence modes of As, Sb, Te, Bi, Ag in sulfide assemblages of gold deposits of the Urals. In IOP Conference Series: Materials Science and Engineering (Vol. 123, No. 1, p. 012028). IOP Publishing. ; Vikent'eva, O., & Vikentev, I. (2016, April). Occurrence modes of As, Sb, Te, Bi, Ag in sulfide assemblages of gold deposits of the Urals. In IOP Conference Series: Materials Science and Engineering (Vol. 123, No. 1, p. 012028). IOP Publishing. ; Vikentyev, I. V., & Vikentyeva, O. V. (2015). Precious metal minerals and “invisible” gold in sulfide ores of Urals. In Mater. of ХII Int. Sci. Conf.“Advanced Technologies, Equipment and Analytical Systems for Materials and Nano-Materials (Vol. 3, pp. 33-41). Topa, D., Sejkora, J., Makovicky, E., Pršek, J., Ozdín, D., Putz, H., Dittrich, H. & Karup-Møller, S. (2012): Chovanite, Pb15-2xSb14+2xS36Ox (x ~ 0.2), a new sulphosalt species from the Low Tatra Mountains, Western Carpathians, Slovakia. European Journal of Mineralogy, 24, 727-740. Sharp, W. E., Wieland, M., Mittwede, S. K. (2007): A mineralogical note on boulangerite, geocronite, and yenerite from near Işik Dağı (Kızılcahamam-Ankara), Turkey. Turkish Journal of Earth Sciences 16, 109-116. Birnie, R. and Burnham, C.W. (1976): The crystal structure and extent of solid solution of geocronite. Am. Mineral., 61, 963-970.; [Clark, 1993 - "Hey's Mineral Index"]; Stamatova, I. V., Kunov, A. Y., & Stanchev, C. D. (2004). Geocronite and Bournonite from Occurrence Klisoura (Western Srednogone, Bulgaria). Comptes Rendus de l'Academie Bulgare des Sciences, 57(10), 53. Pemberton, H. Earl (1983), Minerals of California; Van Nostrand Reinholt Press: 136. Hanks, Henry Garber (1884), Fourth report of the State Mineralogist: California Mining Bureau. Report 4, 410 pp. : 182; Hanks, Henry Garber (1886), Sixth report of the State Mineralogist: California Mining Bureau. Report 6 part 1, 145 pp. : 110; Murdoch, Joseph & Robert W. Webb (1966), Minerals of California, Centennial Volume (1866-1966): California Division Mines & Geology Bulletin 189: 198. Hanks, Henry Garber (1884), Fourth report of the State Mineralogist: California Mining Bureau. Report 4, 410 pp. (includes catalog of minerals of California pp. 63-410), and miscellaneous observations on mineral products): 182; Hanks, Henry Garber (1886), Sixth report of the State Mineralogist: California Mining Bureau. Report 6 part 1, 145 pp. (includes catalog of minerals); […(abstract): Neues Jahrb., 1887, Band 2: 474]: 110; Murdoch, Joseph & Robert W. Webb (1966), Minerals of California, Centennial Volume (1866-1966): California Division Mines & Geology Bulletin 189: 198. Murdoch, Joseph & Robert W. Webb (1966), Minerals of California, Centennial Volume (1866-1966): California Division Mines & Geology Bulletin 189: 198. Rocks & Minerals (1995) 70: 250. Gobla, M.J. (2012) Montana mineral locality index. Rocks & Minerals, 87, #3, 208-240.; Gobla, M. J. (2012) Montana Mineral Locality Index. 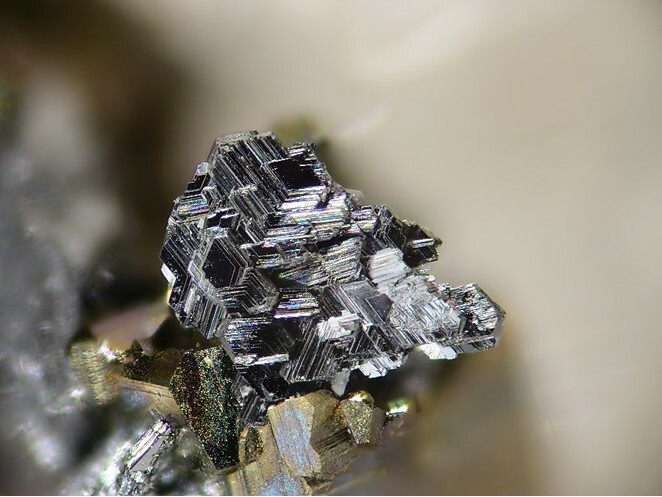 Rocks and Minerals 87:208-240.
ⓘ Silver City District ? UGMS Bull 117 Minerals and Mineral Localities of Utah; Stamatova, I. V., Kunov, A. Y., & Stanchev, C. D. (2004). Geocronite and Bournonite from Occurrence Klisoura (Western Srednogone, Bulgaria). Comptes Rendus de l'Academie Bulgare des Sciences, 57(10), 53.